one of The AIMS of the Youth forum switzerland is to connect the world’s leading changemakers with students from around switzerland AND EUROPE. the following list is of confirmed guest speakers for yfs 2019. Marc is a UN SDG Advocate, Social Innovation, Climate Change Agriculture, Food and Beverage Expert Network member of the World Economic Forum, Global Food Reformist, and Sustainable Futurist. Marc is on a mission to empower billions of global citizens to live an adaptive lifestyle of health and sustainability within planetary boundaries. 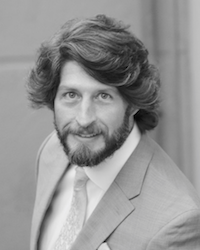 As an expert on sustainable development, Marc consults for companies in their renewable transition with specialization in innovative systems, recycling, packaging, and organic, raw, and vegan products. Marc is also a Champion for Global Citizen social movement to end extreme poverty. The Germany and Austria Country Manager for Al Gores Climate Reality Project and a international speaker on the climate crisis. Delegate at EAT Stockholm Food Forum. Party Delegate at UNFCCC COP events. An ambassador for Future Food Institute. Committee member for Environment and Innovation for the Italian Federation of Human Rights FIDU - Federazione Italiana Diritti Umani. 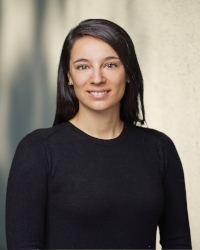 Estefania is a Researcher, Lecturer and Project Coordinator at ETH Zurich. She obtained her PhD at ETH Zurich on Urban Climate and Future Cities. Estefania is an honoree of the Forbes 30 under 30 Europe list of 2018, BILANZ Digital Shaper 2018, WEF Global Shaper, Founding President of the European Institute of Innovation and technology (EIT) Alumni, Former President of the Climate-KIC Alumni Association and speaker. Estefania has been invited speaker in different international events such as the World Web Forum, the Sustainable Innovation Forum, and the European Forum of Young Innovators – EURODOC. Estefania is committed to build up initiatives and communities that support and shape the sustainable future of societies and cities. 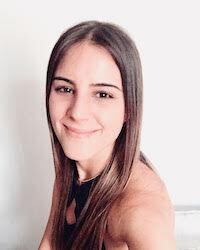 Estefania is also co-founder and CEO at WeSpace, coworking and community space for women. Dr. Moignet Ole Kuney is one of eight Maasai chiefs. He is responsible for around 200.000 Maasai in Northern Tanzania. He is son to a family of nomadic livestock keepers who had no education and only spoke the tribal Maasai language. After his father fell ill and had issues with seeking medical help due to lack of doctors in rural areas, he decided to send his sons to school. Under a government programme that selected high-achieving science students, Ole Kuney received further education in medicine, eventually becoming a doctor. In 1987, the community selected him to replace the old chief, a position he holds to this day. 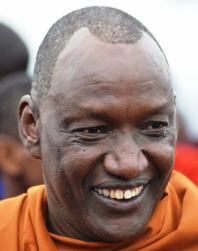 His responsibilities include supporting his community, recognising any special talents and encouraging their passing down to younger generations, representing the Maasai in the Tanzanian government, look for contacts outside the community, as well as mediate and attempt to stop fights within the tribe and with other tribes. One of the big challenges for him is to determine how to sustain the Maasai tradition in a developing and globally connected Tanzania. In 2002, he helped coordinate a visit from the then US president George W. Bush which lead to the permanent supply of water to a village called Lengasiti. Currently he is working on improving the facilities of the Ewong’on Secondary School, a project he started in 2007 and that is also supported by ISZL since 4 years. A fine observer, a quick thinker, a generous empowerer, Anja constantly seeks harmony and mutual enrichment. She works hard, has a hard head, an important commitment to the community and escapes with travel and yoga. After 20 years of experience in senior management positions in both the private economy at IBM and in the civil service as project manager at SECO, Director General of Social Action and Chancellor of the Canton of Geneva she has decided to start her own business and to divide her time between board mandates, philanthropic commitments, teaching of innovation techniques at the Geneva School of Management (HEG) and her CivicLab company. 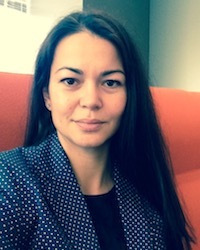 Elena Philipova is the global head of the ESG proposition at Thomson Reuters. She is responsible for the end-to-end management of the ESG business, products and services at the Financial business of Thomson Reuters. She serves a broad range of customers (institutional and retail investors, pension funds, insurance companies, corporate clients, academics, etc.) and has more than 12 years of experience in the ESG / sustainability industry. Working from the firm’s Enterprise Innovation Hub in Baar, Switzerland, she drives the proposition strategy and ESG priorities across the enterprise, and works very closely with other business units, clients, partners and industry leaders. 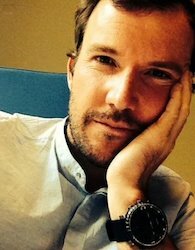 William is an experienced strategy and innovation consultant, with a passion for behavioural design and systems thinking based approaches to social change. He has over a decade of experience in business, has consulted on large scale future visioning projects for government and corporate clients and mentored start-ups and young entrepreneurs including Australia’s first Indigenous business accelerator. William is also a WEF Global Shaper, a Davos 50 and UNLEASH Lab alumni. An active social commentator, Will regularly speaks at conferences and on television and radio about social change and technology. William is also recipient of awards and honours, including: Jude Bugeja Mental Health Week Award; nominated for the Australian Mental Health Prize; named a Top Young Social Entrepreneur, Business News Australia. Carolyn was born in South Africa and spent much of her childhood in Kinshasa, Congo before living in Paris, UK and Germany. Carolyn is an enthusiastic, vivacious character who lives life to the full. Her love of travel, nature and adventure has taken her to many parts of the globe: kayaking in New Zealand; safari in Kenya; climbing in Chile; whale watching in Canada; diving in Egypt and meditating in Bali. Passionate about education; Carolyn began her professional career as a primary school teacher before founding Whale Bags Ltd. in 2007 after learning that plastic was devastating the oceans; determined to help people stop using plastic bags she designed her organic cotton bags as alternatives. Over the years Carolyn has brought all her passions together: education, protecting the environment, the ocean, sport and travel to develop the environmental education charity, The Whale Company. In 2017, Carolyn and her partner, Carlos became the first people in the world to paddle 12 marathons in 12 countries on a stand up paddleboard made of recycled plastic bottles. In 2018, she paddled the length of the River Thames from Source to Sea on her bottle board, collecting messages from school children which she delivered to parliament. 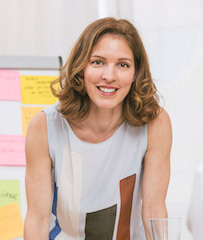 Dr. Katrin Muff is a thought leader in the transformative space of sustainability and responsibility at Business School Lausanne, where she acted as Dean from 2008-2015. Under her leadership, the school focused its vision on entrepreneurship, responsibility and sustainability in education and research. 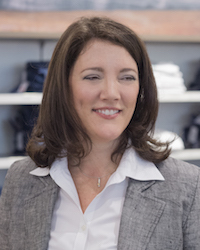 Her business experience includes 10 years at ALCOA (GM in Russia, Industry Analyst for Global M&A in the U.S. and Business Analyst Europe), 3 years as Director, Strategic Planning EMEA at IAMS Europe (Procter & Gamble), and 3 years as a co-founder of Yupango, a coaching consultancy dedicated to start-ups and training management teams. 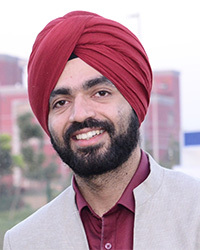 Jaideep Bansal is the Chief Operating Officer at Global Himalayan Expedition, a social enterprise that conducts Impact Expeditions to bring Solar Energy to remote Himalayan Villages. Under his Leadership, GHE has electrified 80 villages and lit up the lives of more than 35,000 people through an innovative concept of Impact Tourism. GHE’s work of remote rural electrification has been documented by National Geographic, BBC and NDTV to reach out to a worldwide audience and has been internationally recognized and awarded by the WTTC and the World Tourism Awards. The UN-WTO has recognized GHE as one of the successful case studies in sustainable tourism impacting SDG Goal No 7. Jaideep has been instrumental in bringing the narrative of Sustainable Development to the wider arena through several articles and as a speaker at Davos, SEforAll and ADB. He has been featured repeatedly at Davos among the top leaders inspiring change in the world. Mr. Baumann started his professional career in the Private Banking division of Credit Suisse in 2005. He joined Real Estate Investment Management in 2006 and assumed the responsibility for the development and launch of new investment vehicles for Swiss investors. He assumed his current position as COO & Head Sustainability, Global Real Estate, in April 2014 and leads all sustainability, platform management and control function efforts in Switzerland and abroad. As of April 1, 2017 Mr. Baumann also became Co-Head Germany of Credit Suisse Real Estate. Rosie Garthwaite is currently the Series Producer for BBC Arabic Digital Investigative Documentaries. 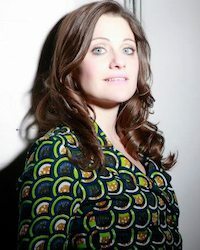 She is also the founder of Mediadante; an award-winning independent production company making films about the Middle East region for a global audience. She is producer of the multi award-winning, The Workers Cup, that premiered on the opening night of Sundance 2017. In 2015 the International Emmy-award winning film Escape from Isis she developed for Channel 4 and PBS was referenced by the UK Prime Minister in a key speech and shown to the U.S. Congress. In 2014 she exec produced a CINE Golden Eagle award-winning series following the first Saudi woman up Everest. She is a former British army officer and author of the award-winning book How to Avoid Being Killed in a War Zone published by Bloomsbury in 2011. Kees Christiaanse is an architect and urban planner and founder of KCAP Architects&Planners with offices in Rotterdam, Zurich and Shanghai. In his work, he focusses on urban assignments in complex situations and on guiding urban processes. He is an expert in the development of university campuses and in the revitalisation of former industrial, railway and harbour areas and is a supervisor of several international urban developments. Throughout his career, Kees has always combined teaching and research with his professional work within KCAP, which has generated fruitful cross-fertilisations. From 2003-2018, he has been chair of the Urban Planning Institute of Swiss Federal Institute of Technology (ETH) in Zurich. Since 2010 he has been involved in the Future Cities Laboratory (FCL) in Singapore. In 2013, he was appointed Chairperson of the External Advisory Board of the Architecture and Design Department of the Singapore University of Technology and Design (SUTD). In 2009, Kees was curator of the 4th International Architecture Biennale Rotterdam (IABR) with the title “Open City. Designing Coexistence”. He is author of a multitude of books and essays about architecture and urban planning and has received numerous honours among others the lifetime award ‘2016 RIBA International Fellowship’ for his particular contribution to architecture and the’ARC17 Oeuvre Award’ for his lasting and innovative contribution to the improvement of the built environment. executive vice president - living planit. Caroline is currently engaging in consultancy assignments for family foundations, NGOs, international institutions and multinational companies in the sustainability, environment, climate change, health and agriculture sectors. Most projects are related to topics promoting sustainable business (including supply chain improvements and social enterprise development), sustainable and development finance initiatives (including blended finance instruments), project management and/or strategy development. Recent projects include developing agricultural supply chain financing projects for the European Bank for Reconstruction and Development in North Africa, developing a disruptive supply chain insurance for the cocoa industry to stop deforestation in West Africa, as well as developing a grant-making strategy for Porticus Foundation in the areas of sustainable investing, business as a force for good and circular economy models. 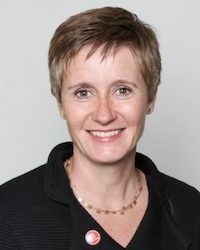 Caroline previously worked for the Bill & Melinda Gates Foundation to shape a strategy on innovative financing for the Donor Government Relations team in London, as well as the European Bank for Reconstruction and Development in small business development from Mongolia to Morocco. Carolyn Steel is a leading thinker on food and cities. Her 2008 book Hungry City: How Food Shapes Our Lives won international acclaim and her concept of ‘sitopia’ (food-place) is widely recognized in the emergent field of food urbanism. Carolyn has taught at Cambridge University, London Metropolitan University, Wageningen University and the London School of Economics. A director of Kilburn Nightingale Architects in London, she is in international demand as a speaker and spoke at the first TEDGlobal in 2008. Kai Landwehr is the current marketing manager at MyClimate. He is an expert for communications and brands with passion and extensive knowledge of sustainability and sports. He also has proficient experience in corporate communications, strong social media affinity and successful in building and activation of communities. MyClimate aims to shape the future together with you through consulting services, education and climate protection projects. Simon is an Engineering professional with over 25 years experience in the field of power generation, responsible for a number of technology firsts in the industry, working on the largest most efficient power plants providing electricity around the globe. Power is foundational. It is the underpinning of modern life, the spark that sets progress in motion. At GE Power, Simon leads global teams, developing the energy solutions of the future focussing on new Nuclear and Coal applications and improving the power networks we depend on today. Simon studied Mechanical Engineering at Imperial College London. 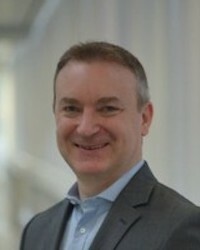 He is a Professional Chartered Engineer; a member of the IMechE; Associate of the City and Guilds Institute; and American Society of Mechanical Engineers. Featured at Salone del Mobile and Dutch Design Week. Learned to knit from grannies working for social brand Granny’s Finest. Devoted to build a socially and environmentally sustainable fashion industry by transforming the way clothes are bought and made. Cathal Murphy is a 24 year old documentary filmmaker from Cork City, Ireland. Over the past two and a half years he has been working on the Our Mental Health documentary with a friend, covering the personal stories of people the same age as them (living around Cork), one of those stories being his own. The project began with his friend’s passion for film, and his personal passion for the issue of mental health. The group collaborated with no experience in the field, and managed to produce an hour long documentary that will be broadcasted on Irish National Television in October of 2018. Cathal is very proud to have produced such a high quality, touching documentary, and hopes it will have a powerful impact in reducing the shame and stigma attached to mental health difficulties. Cathal’s own passion for mental health began with his own difficulties manifesting in his late teens. He had a natural curiosity about the causes of his own difficulties and sprouted a passion to know more, both for his own benefit and the benefit of others. Having received such a positive response from the documentary, it certainly inspired him to continue in finding innovative ways in educating people on these matters. In 2015, Océane Dayer founded Swiss Youth for Climate, the first Swiss youth organization for climate action, with the aim of raising awareness, empowering and above all giving a voice to Swiss youth on climate issues: by youth, for youth. She also led a youth delegation to the International Climate Conference (COP) for three consecutive years. In 2016, Océane completed her studies in environmental sciences at EHT Zürich. Today, she co-chairs the SDSN Switzerland, a network of actors whose aim is to support the achievement of the sustainable development goals by linking science, politics and society. Neeshad is an environmentalist, educator and social change advocate. He is a Design Engineer in water and wastewater industry, who holds a Master's Degree in Energy & Environmental Engineering and resides in Doha, Qatar. Neeshad is part of Global Shaper Community Doha Hub and currently volunteering as Executive Director at Arab Youth Climate Movement Qatar, Middle East Officer at CliMates. He was named by the European Commission as Peace Ambassador to One Young World Summit 2017, Global Youth Climate Network Ambassador, Institute for Economics and Peace Ambassador 2018, Founding Member at Climate Action Network (CAN) Arab World and Project Advisor at Youth Climate Lab. Ken started People and Gardens, a social enterprise, in 1998 in partnership with The Eden Project Cornwall. People and Gardens uses horticulture as a medium to enable people with physical and emotional impairments to learn work and social skills in order to take control over their own lives. Ken has worked in 'the front line of care' for over 20 years and during that time many people have moved on into independent living. He was recently named in a National newspaper as 1 of a 100 people who make Britain a better place to live. Ken recently said 'The students at ISZL epitomise all that is good in young people' and he feels privileged to be able to take part the Youth Forum Switzerland. Marie-Claire is 22 years old, lives in Zurich, Switzerland and is studying political, environmental and computer sciences at the University of Zurich. She is active in several initiatives around all dimensions of sustainability at different levels. 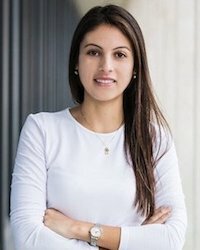 At ETH Zurich, she is the vice president of the Student Sustainability Commission with a focus on project management, sustainable university policy and external relations. At the University of Zurich, she is board member of the Student Sustainability Commission and responsible for external relations. The Sustainability Week Zurich is inspiring students and staff to take urgently needed climate actions at the higher education institutions in Zurich. It has attracted over 20,000 people to its over 200 student run events over the past 6 years. Trevor is the lead pastor at the Norwegian Settlers church located on the lower South Coast of Kwazulu Natal in South Africa. He is also the founder and a trustee of the church’s outreach project, the Genesis Trust which started in 2002. Genesis is a registered NPO and PBO which seeks to meet the holistic needs of the community infected and affected by HIV/AIDS. There are 14 projects within Genesis: a palliative-care Care Centre, a crèche, feeding scheme, post matric teaching program, a baby home, an auto-mechanic garage and youth community centres which include gyms, after-school programs, music academy, leadership academy, and Friday night youth programs. Economist with experience conducting research of development interventions and carrying out evidence-based social projects in high-risk and marginalized areas of Caracas, Venezuela. Global Shaper of the World Economic Forum, selected out of 7,000 applicants to attend the 2019 WEF Annual Meeting in Davos. Designed and coordinated the first rigorous classroom observation project in Caracas that aims to improve teachers performance by providing them feedback and promoting peer collaborations. Co-founder of Salud Por Venezuela, an NGO that provides primary health assistance and preventive education in the slums through pop-up clinics as a response to an unprecedented humanitarian crisis. Salud Por Venezuela has donated female sanitary products to public schools affected by the lack of access to feminine products, increasing monthly school attendance in 10%. It has also assisted more than 3,000 individuals providing them with a quality health service and medications to control common health conditions. The NGO was awarded for Best Innovation Project and Best Social Project by the Central University of Venezuela in 2016. Leslie Johnston joined C&A Foundation as its first Executive Director in late 2013 and brings over 20 years of management experience across multiple sectors, including smallholder agribusiness, entrepreneurship and corporate philanthropy. At C&A Foundation, Leslie led the development of the foundation’s first global vision, mission, and strategy, anchored on making fashion a force for good. She oversees team of over 50 people in nine countries and a grant budget of over EUR 50 million, working to improve lives and livelihoods across the foundation’s five signature programmes. 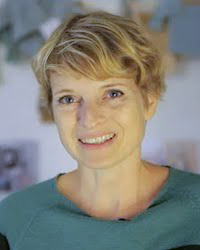 Leslie currently serves on the boards of Fashion for Good B.V. (NL), COFRA Foundation (CH), GoodWeave International (US), CottonConnect (UK), the European Venture Philanthropy Association (BE) and the Organic Cotton Accelerator (NL). 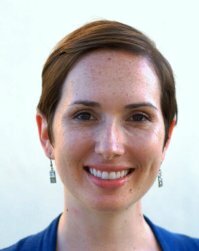 Brandi is an American trained licensed Clinical Psychologist who has over 10 years experience spanning the globe working with and researching people who live outside their country of origin and their dynamic identities. In 2015, she founded Optimal Wellness Global offering therapy with science-based practices of well-being, to promote thriving skills, resilience, happiness, compassion and connection for a meaningful life to help pan-internationals in their global lifestyle. As an agent for change, she has collaborated to develop a local initiative to promote collaboration between local and international mental health providers to increase access and equal affordability to culturally-competent and culturally-sensitive care, foster collaboration and integration of foreign practitioners with Swiss practitioners to strengthen the offering and collective knowledge of the region, and to challenge stigma with increased visibility and normalization of public exposure to mental health topics, narratives and public education. Andi is a Swiss Chef and Entrepreneur who grew up in a family-owned restaurant and always felt very connected to food and producers. After having worked in the 5-star gastronomy field, he switched gears and started teaching troubled kids cooking, giving them new opportunities. Today he runs his own restaurant, focusing on locally sourced ingredients. Andi also teach young chefs at the culinary college in Zurich and holds workshops about food waste. Min Li was elected to the National Council for the SP in October of 2018. There she became a member of the Commission for Science, Education and Culture as well as the Legal Affairs Commission. From 2002 to 2o16 Min Li was a member of the Zurich Municipal Council. In 2009, she was elected Group President of the SP Group. As a result, she has since been President of the Interfractional Commission (IFK). Since February 2015, Min Li has been the publisher and editor-in-chief of the weekly newspaper P.S. Before that she worked as a Senior Consultant for the communication agencies HSCC and Campaign Forum. Visiting Fellow at Bournemouth University, UK.